This year for me everyone seems to be getting harder to buy for! 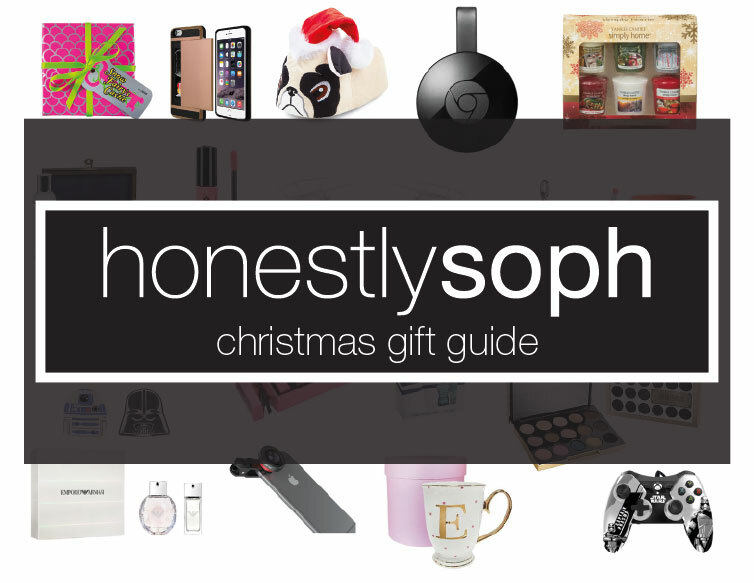 So I’ve been scouring the stores on the High Street and Online and I’ve come up with my 2015 Christmas Gift Guide! Perfect stocking filler or Secret Santa gift, this Votive Yankee Candle Set from ASDA only £6 and all the gorgeous scents! When it comes to fragrance there is so much choice! Gift sets are always a winner this time of year! The Perfume Shop and other drug stores like Boots always have fab deals on gift sets this time of year – even on high end brands! The type of gifts for men over the years have come a long way from a pair of socks and a tie and cuff links set! With gadgets galore and male grooming becoming a daily for most, there is bound to be something in this list for the gents in your life! This year Star Wars is literally back with a vengeance, for all the Dads, Brothers and maybe your boss who fancies themselves as a Star Wars fanatic, here is a few goodies! For the men in your life who are past dousing themselves in Lynx, there are some incredible high street and designer fragrances. Yeah me too! Most of this is on my list! Thanks for visiting my blog Natasja!